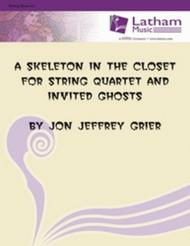 For String Quartet and Invited Ghosts. Composed by Jon Grier. Halloween, Novelty. Score. Published by Latham Music Enterprises (LA.703316). 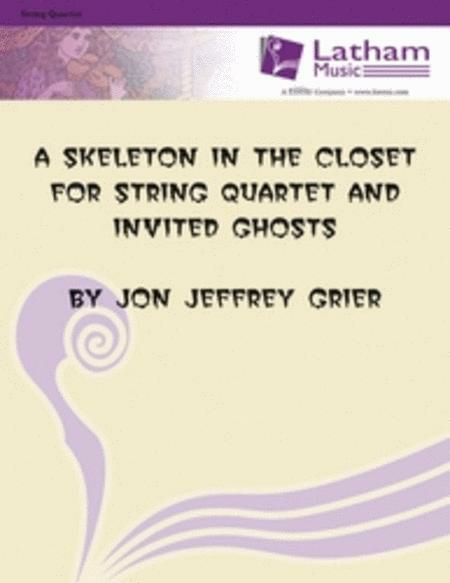 A comedic theatre piece for string quartet with optional bass, advanced intermediate level and beyond! we jump out at the end once ONE child offers to "open" the door, and scare the kids with skeleton faces. They do not see us play. Our String Bass player is the highlight, so USE the bass part. He clacks his bow on the bass to sound like skeleton bones. I wore out the first copy, and had to get another one! 11 of 21 people found this review helpful. 14 of 27 people found this review helpful. I have been playing since 4th grade and am currently a sophomore in high school. I play violin, cello, and viola.I love it because halloween rocks, and this piece is soooo much fun; it's more than just playing. So HAVE FUN!